Florida has historically had so many dog bite-related injuries, that an entire Chapter of Florida Statutes is dedicated to holding dog owners liable in the event of these incidents. The Yau Law Firm handles these types of personal injury cases. Part I of this blog addresses highlights of Florida’s Dog Bite Statute, as it pertains to a dog owner’s automatic responsibility. Part II is a guide to Florida’s Dangerous Dog laws. Even if a dog has never hurt anyone before, if it injures someone, its owner will be on the hook. When a dog attack results in serious injury or death, even if it is the dog’s first time causing harm, the dog will be confiscated and quarantined. If the owner does not request a hearing within 10 days, the dog will be destroyed. Also, the dog owner could be guilty of a second degree misdemeanor if it can be proved that he knew about the dog’s dangerous propensity, yet demonstrated reckless disregard for the dog’s characteristics. If the dog owner has a “Bad Dog” sign prominently displayed, however, in general, the owner is not liable. There are two notable exceptions, though. The first is if the dog owner was negligent in some other manner that caused the dog bite incident. The second exception is if the dog injures a child under the age of 6. 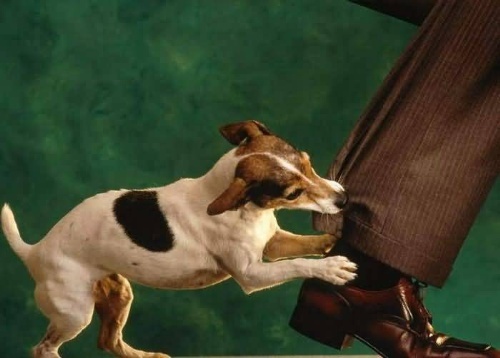 If a dog bites someone who is committing a crime or attempting to commit a crime, its owner will not face any criminal charges. Florida law states that if a victim contributes to his own injuries, his compensation is reduced by that amount. In other words, let’s say a victim is 15% responsible for his own injury in a dog bite incident. Even if his injuries amount to $100, he can only collect $85 from the dog owner, because the $100 injury is reduced by 15%. It is important to note that the definition of “animal” includes livestock. In fact, the owner of livestock may escape criminal charges for injuring or killing a dog if it can be proven that the dog has, or was, killing the owner’s livestock. Florida’s Legislature is so protective of livestock that a dog owner can be liable for damages even if the dog causes dairy cattle to worry.